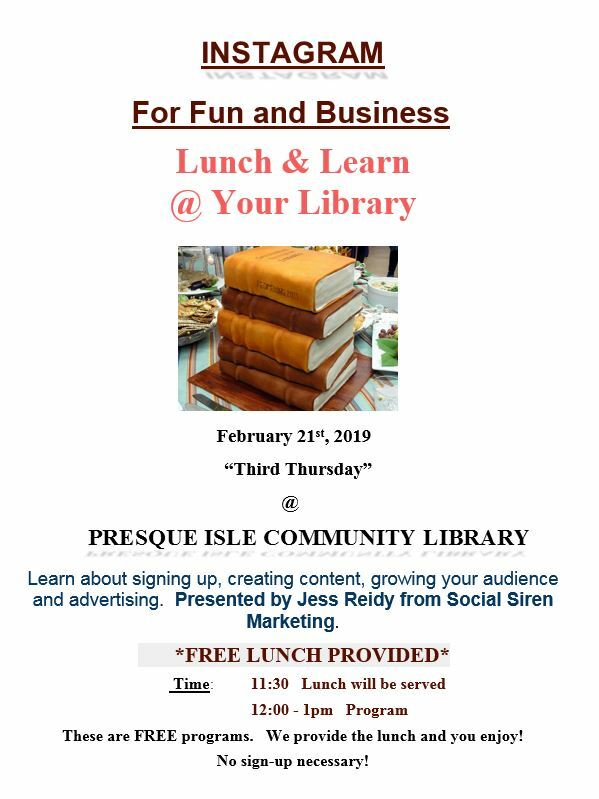 This is part of a new series called Lunch & Learn at Your Library. They are programs held every third Thursday of the month at one of three libraries. Come for lunch, and stay for learning. See more info at our partnering library’s website here. Programs are free and lunch is provided.